Android 8.1 is the first maintenance release after Android 8.0 Oreo. Currently, Pixel owners can download and install the Android 8.1 Beta now, before the update is publicly available. The new update brings a few notable changes like the possibility of Chrome and SMS integration and self-dimming navigation buttons to prevent burn-in. 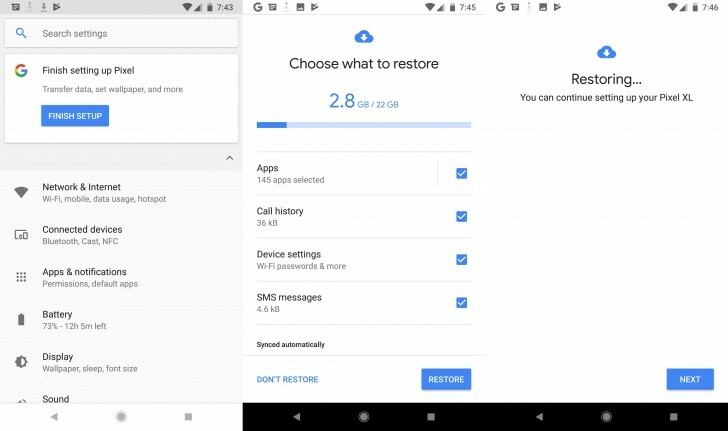 One other new feature that was spotted on Android 8.1 is the ability to restore data from a Google account after choosing to skip the option during the phone’s initial setup. If you breeze through setup, you can head to the Settings and find a banner that lets you complete the setup. Tap “Finish Setup” and continue the steps you may have skipped. 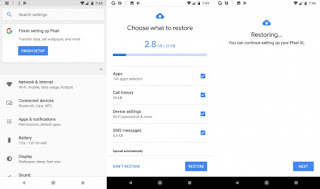 This includes restoring data from the Gmail account you used to sign into the phone. 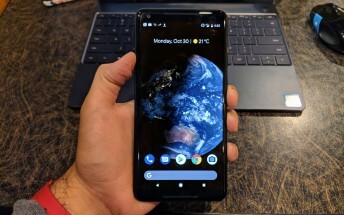 It’s not a significant change to the OS, but one that shows Google is paying attention to details. A little change like this could save hundreds of headaches for Google Pixel customers.